The Romsey Youth Choir was one of the groups invited to perform in the “Generations Concert” alongside the Mountbatten School Big Band, Barton Peveril 6th Form College Choir, Romsey Abbey Primary School Choir and the Romsey Male Voice Choir in a very full Abbey in aid of George’s Trust. 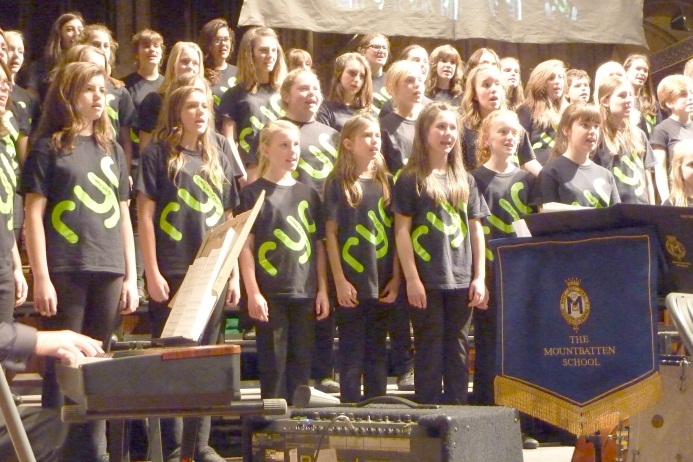 RYC performed 6 songs, “Let the Rivers Run”, “With a Little Help from my Friends” and “Only Time” in the 1st half and “I Dreamed a Dream”, “The Rose” and “Swing Low” in the second. As a finale all the groups massed on the stage to perform “The Freedom Song” – a specially arranged medley of songs in remembrance of Martin Luther King and the US civil rights campaign. Maisie and Patrick’s solo opening lines set the song rolling, with beautiful controlled singing from the junior choir then joined by the RMVC and the RYC, moving into a more upbeat tempo with the Big Band and the gospel choir sound from the Barton Peveril Choir before it reached its final climax with everyone in full voice. It was a really stunning evening with many parents saying it was one of the best concerts they’d experienced in the Abbey. 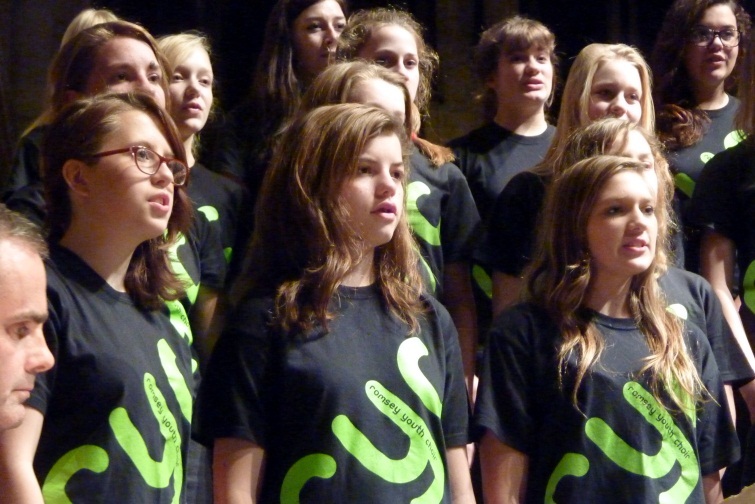 This was the largest choir the RYC has staged to date with over 70 choir members singing. Over £3000 was raised for this very worthwhile local charity.